*Mini Memberships are Monday ~ Fridays and Weekends and Holidays after 1:00. Please call beforehand to make sure that there is not a big tournament, as that can affect your golfing for that day. 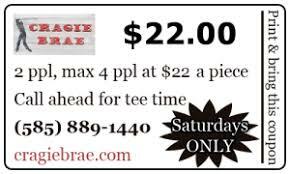 Cragie Brae Golf Club also offers reciprocals to other golf courses for our members. Please call at least 24 hours ahead to make a tee time. 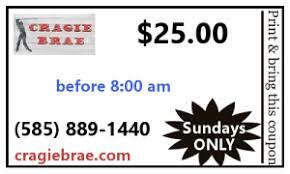 Save yourself some money and increase your skill level by committing to a yearly membership at Cragie Brae.